Last week when I was wearing my founding partner of a law firm hat, I had a conversation with a potential client. During that session I learned more about her business, we both agreed that she needed help and that working together seemed like a natural fit. Once we agreed to work together, I started to outline to her how I like to work and what the process would be like. I spend most of my time during this explanation outlining how the payment process works. The reason I do this is because I have some insider information that I want to make sure she understands. I start off by explaining that unlike most law firms, I do 99% of my work on a flat-fee basis. So that she knows the price before we start working on your project. And that because of the fee is fixed that I require the full payment up-front. The insider information that I want to share is that this money does not get deposited into my checking account. The money gets deposited into a trust account and her name is associated with those funds. The reason I pass along this insider information is because it helps establish trust. her money is still in the trust account and will be returned to her for any milestones that we didn’t meet. That gives her the confidence that if something goes wrong, that she can get some of her money back. Our job is to establish boundaries and expectations with our clients and customers. These boundaries and expectations lay the foundation for happy clients. And sharing insider information that only you know about your business is a good first step in this process. 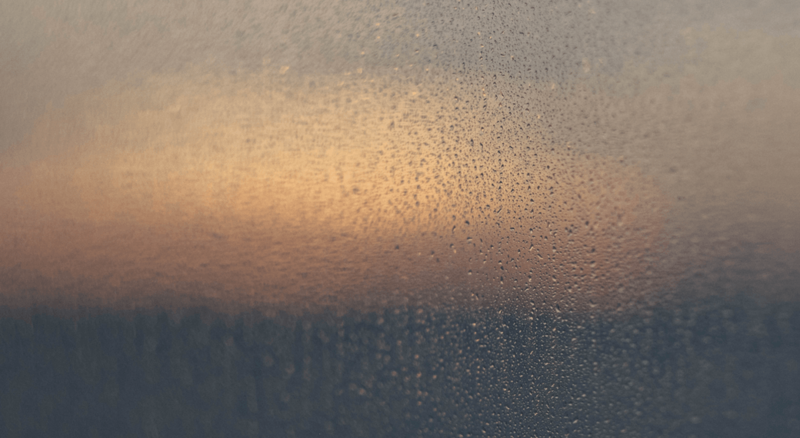 you shouldn’t just think about frequently asked questions. 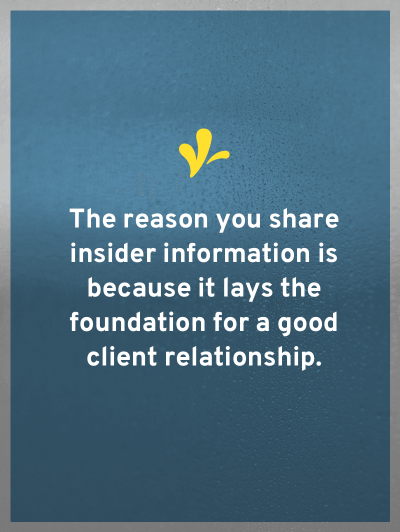 You should tell your clients and customers things that people with insider information know. What insider information do you think you should share? Tell us your insights in the comments.